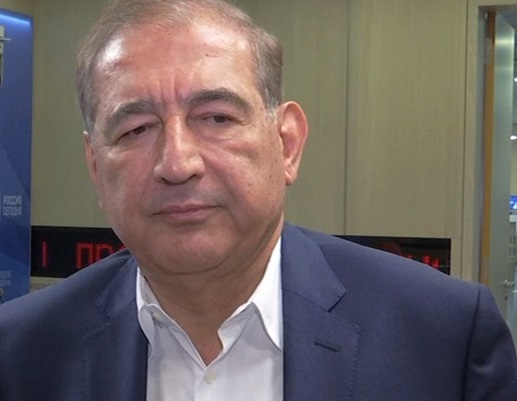 Former Syrian Vice-Premier, one of the top leaders of the People's Will Party and the Popular Front for Change and Liberation, Qadri Jamil described how goes the current negotiations on an inter-Syrian settlement within the framework of the Astana format. Idlib is one of the most important current problems of Syria. Do you think the opposition and the government will be able to agree with the assistance of Russia and Turkey? Or will we see bloody battles, as in Aleppo? I think that the mutual interests of Russia and Turkey are more than Idlib and Syria. Therefore, both sides will build on the current situation in order to find ways out of the crisis. Turkish President Recep Tayyip Erdogan announced a summit (in Syria) in September, where representatives of France, Germany, Russia and Turkey will be invited. What do you expect from this meeting? This summit should resolve the issue of the withdrawal of terrorist organizations from Idlib or their destruction. And the return of all the Syrian refugees who had accumulated in Idlib, to their homes in Syria. Europeans should not interfere, but must help the return of the Syrians home, regardless of the stage at which the process of political settlement is. These are two parallel questions that should go alongside. Mr. Jamil, you were one of the participants in the Congress of the Syrian National Dialogue in Sochi. Since then, do you see progress in the negotiation process? The most important progress is that the Syrian government recognized the need for constitutional reform, although it has its own interpretation. It seeks not changes in the basic law, but some of its adjustments. But this is a problem of the constitutional commission when it meets. Now it is somewhat premature to discuss this. Reform is a broad concept. When we begin the negotiation process, we will discuss this issue. This is in the first place. Secondly, after a delay of two months, the Syrian government transferred its list of candidates to the constitutional commission. It's good. It even outstripped the opposition. Now all the conditions are there to create this body. We need to formulate regulations and start working. The creation of the Constitutional Commission means profound changes in the political structure of Syria. The presence of Americans in Syria is one of the most important obstacles to the restoration of the territorial integrity of the country. Do you think the Americans will stay there for a long time? According to the Americans themselves, their presence will not last long. They openly tell their allies that they are leaving soon. As I understand the situation, objective necessity forces them to leave, because America today is not America of the times of Afghanistan or Vietnam, now other conditions, other times. We must understand this. Opinions of opposition groups - Moscow, Cairo and other platforms - coincide on the issue of independence of Kurds in Syria? Is it possible to solve this problem jointly, even with the connection of the government? Recently, there has been a shift in the position of the Kurds. The issue of federalization, self-determination or self-government is no longer raised, they only raise the question of decentralization. This, I think, is an objective issue that should be raised when drafting the constitution of Syria. Therefore, the Kurds have a positive shift in relation to this topic. This shift brings our positions closer.